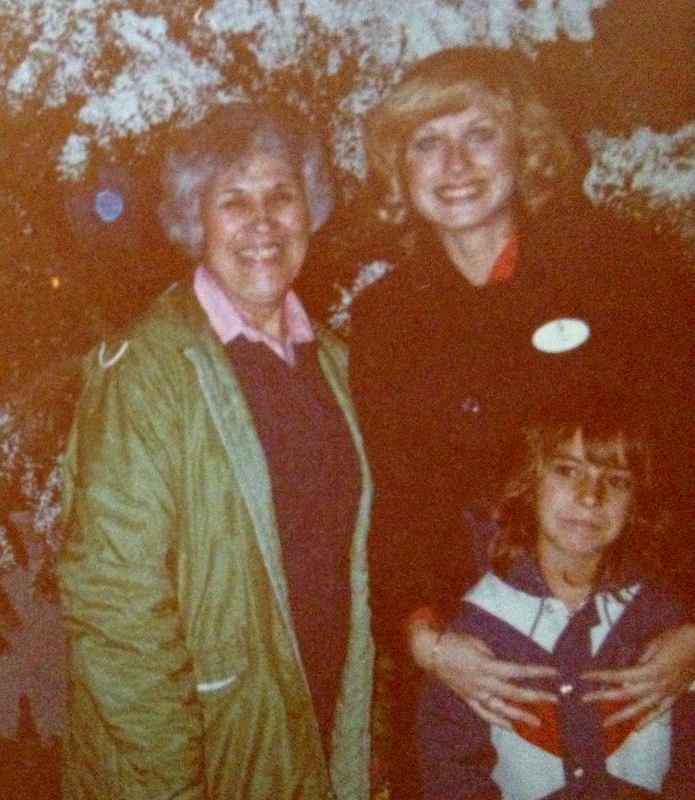 In honor of my mother-in-law’s memorial this Saturday – here is a photograph of us from 1979 at Disneyland. We are standing at Christmas Tree point on Main Street USA, I am a Cast Member wearing a navy trench coat and holding my niece Diedre who is now in her forties. My mother-in-law Jean looks very happy here and is anxious to see the Christmas parade. Every picture tells a story…. Image | This entry was posted in Life, Memories of Disneyland, Protocol and Etiquette and tagged 1979, Christmas parade, Disneyland, Jean Grimsley, Weekly Photo Challenge. Bookmark the permalink.